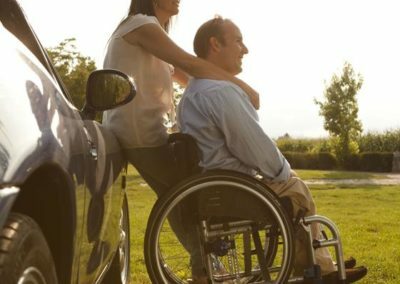 The Kuschall Compact from Invacare is a wheelchair made for active people who require a higher level of configurability and support. 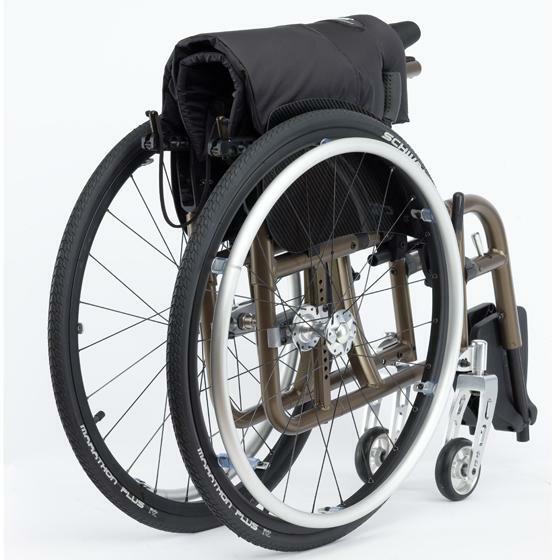 The Kuschall Compact is equipped with an easy folding mechanism and optional folding backrest. 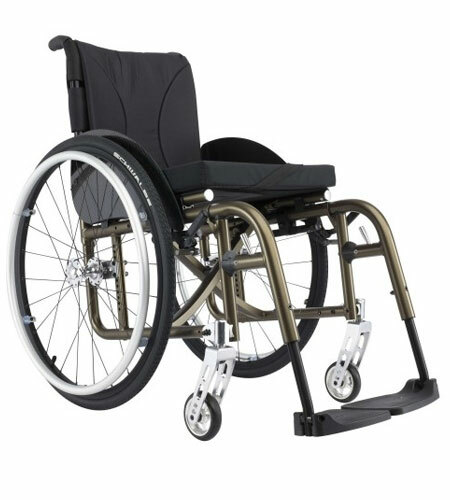 If offers swing-in and out detachable leg rests for easy front transfers and compact storage dimensions. 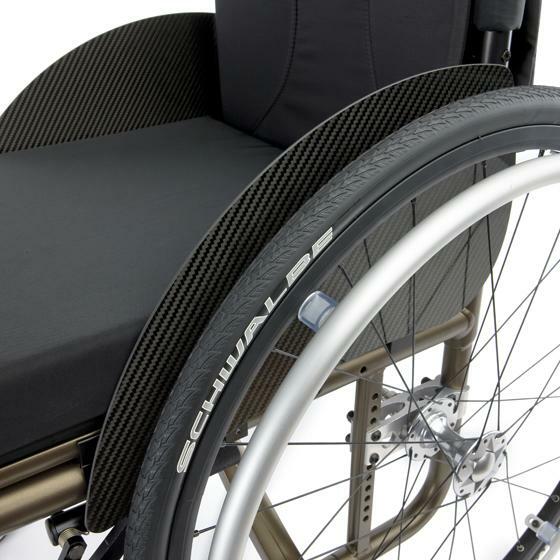 The Kuschall compact is an “easy to drive” wheelchair adapted to those with reduced strength. 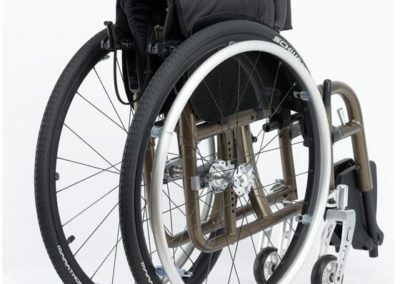 The wide range of adjustment and configuration possibilities make the Kuschall Compact a functional and reliable wheelchair, and it can also be adapted for hemiplegics. 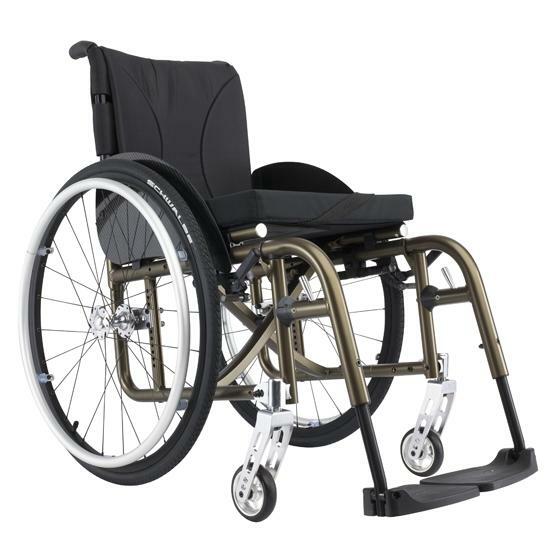 It offers excellent driving performance without compromise on the level of stability, providing and “easy to use” foldable wheelchair. And when you can’t take any more, what you have left is a perfect design. 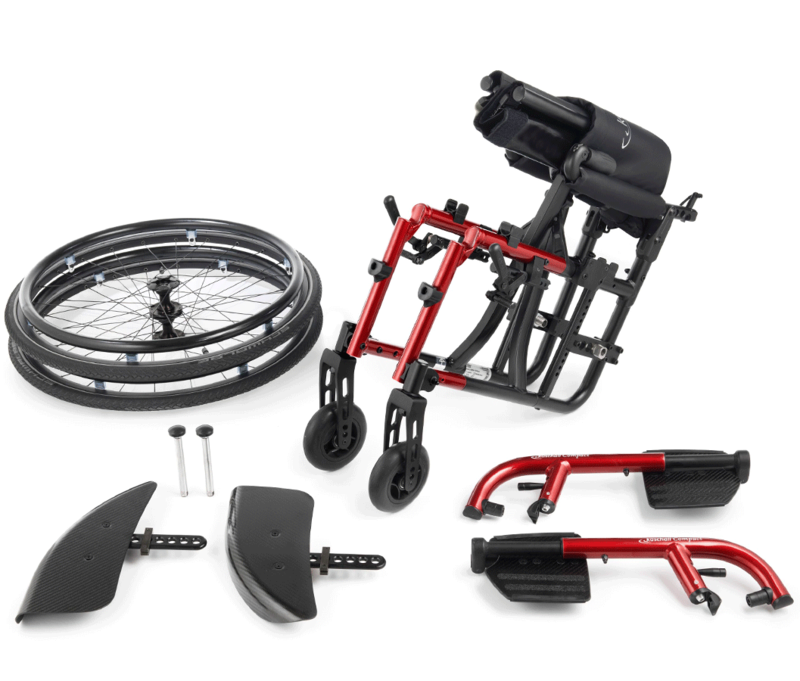 And that’s why, with the Kuschall Compact, you can pack it all away for transport or storage: Rear wheels, leg supports, side components – and the backrest folds down easily. 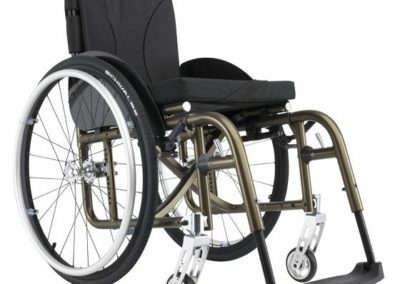 This wheelchair doesn’t just look perfect, it is perfect. 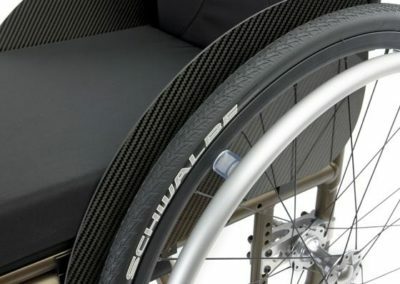 The Kuschall Compact offers more options than any other wheelchair. 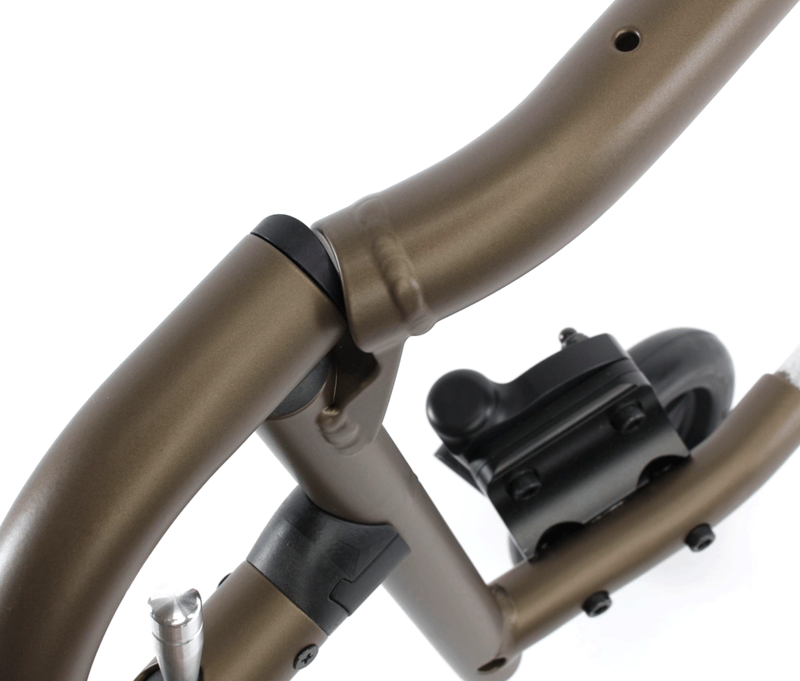 That’s why they’ve constructed the leg supports so that you can swivel them outwards as well as inwards. Or get out easily, for when you want to get as close as possible to the bed or a car seat to transfer. 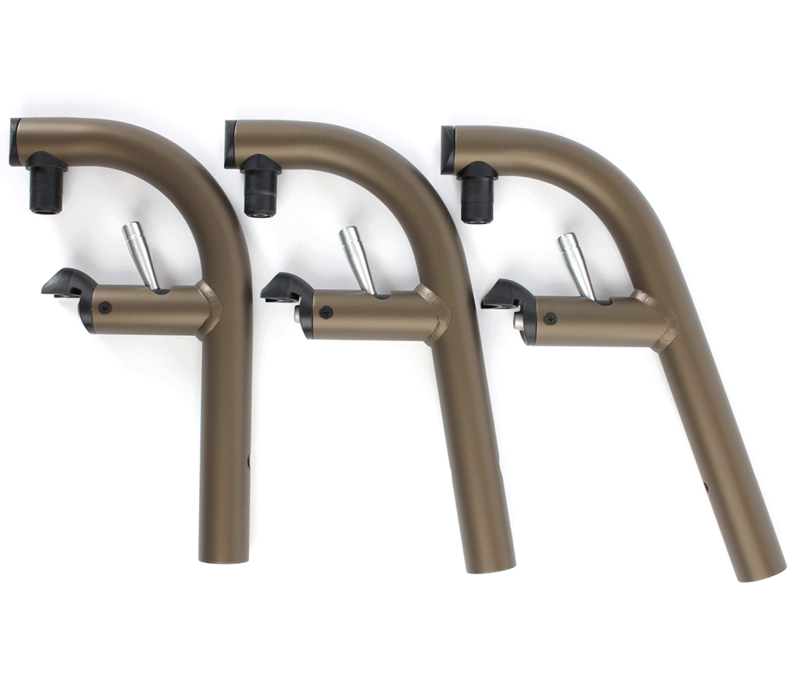 To meet your specific needs, the leg supports can be set into three different brackets – choose between 90°, 80° or 70°, to create a sitting position that fits you. And when you don’t need it, you can easily snap it to one side. 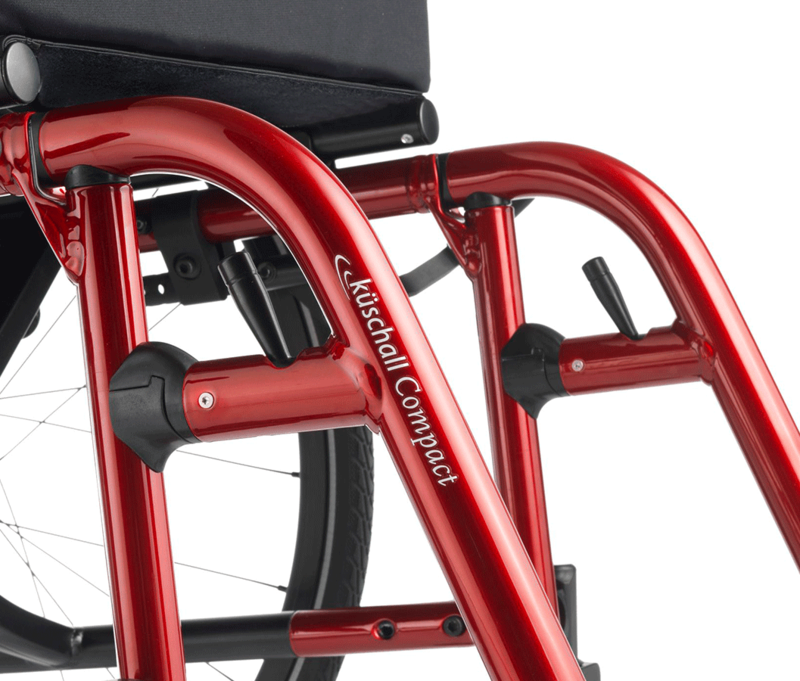 With an additional seat height adapter, you can configure your Kuschall Compact so that you can have a very low or a very high seat height – ideal if you want to dribble with your feet and you need the front wheels as far apart as possible. For greater freedom for your legs, e.g. as a hemiplectic, we have constructed the Kuschall Compact so that you have the option of fitting it with an abduction frame. This will expand the room for your feet by about 3 cm on either side. But that is only the beginning. Configure your Kuschall Compact however you like, and choose a straight frame on one side, while you use the abduction frame on the other. If you’re interested in the Kuschall Compact then please fill out this form and a local specialist with get in contact with you shortly.